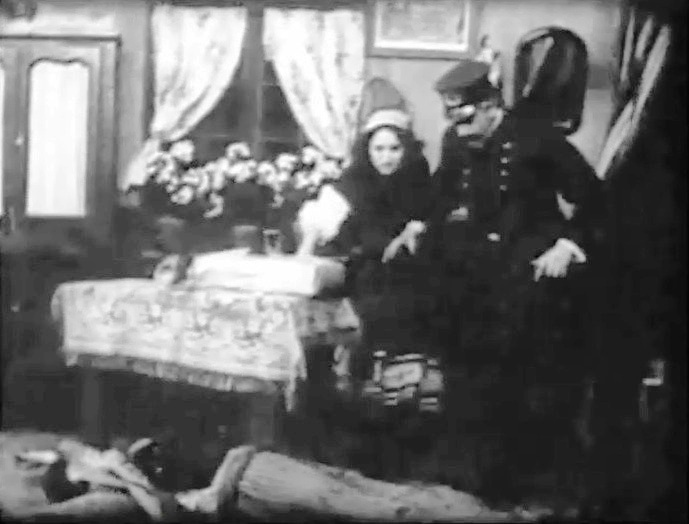 "At the Altar" is a short crime drama directed by D.W. Griffith. We have a whole constellation of our stars taking part in this film: Billy Bitzer, Arthur V. Johnson, Robert Harron and Florence Lawrence. Billy Bitzer shares the cinematography credit with Arthur Marvin. Arthur V. Johnson plays a policeman, Robert Harron is a boy on the street and Florence Lawrence is a wedding guest. An unsuccessful suitor can't swallow that his love interest gets engaged to another man. He decides to end his life, but not before creating a plot to kill the bride or the groom at the altar. He also leaves a suicide note, which is discovered just in time to try and stop the diabolical plan from becoming a gruesome reality. This is the third film with a similar theme created by D.W. Griffith in a short period of time. 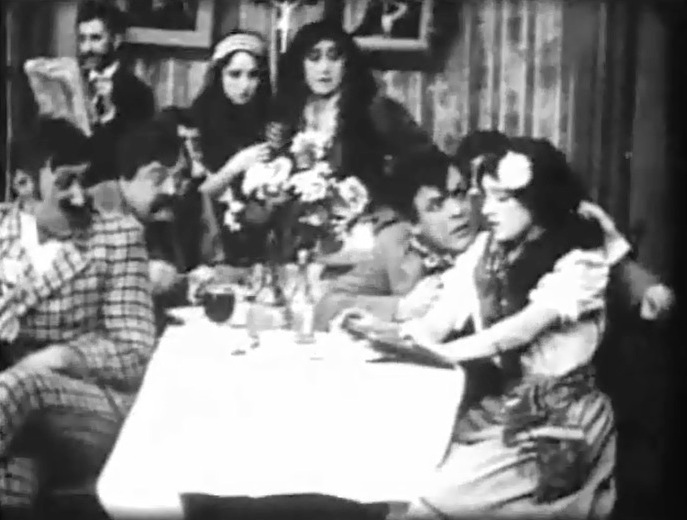 "An Awful Moment" (1908) and "The Cord of Life" (1909) were released a month or two before it. 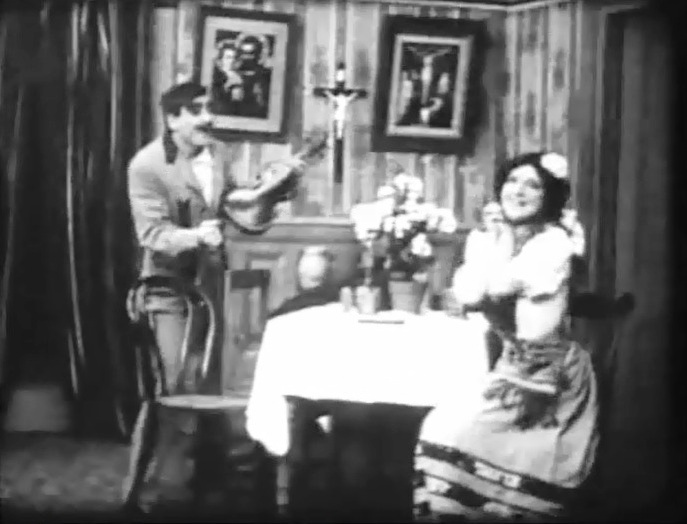 Charles Inslee unsuccessfully courts Marion Leonard as Mack Sennet and John Cumpson look on in "At the Altar" (1909) directed by D. W. Griffith. 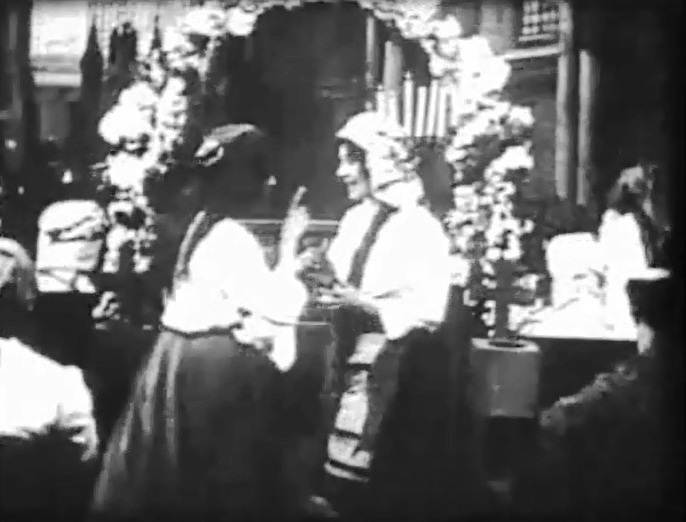 Marion Leonard finds what she needs in Barry O'Moore in "At the Altar" (1909) directed by D. W. Griffith. 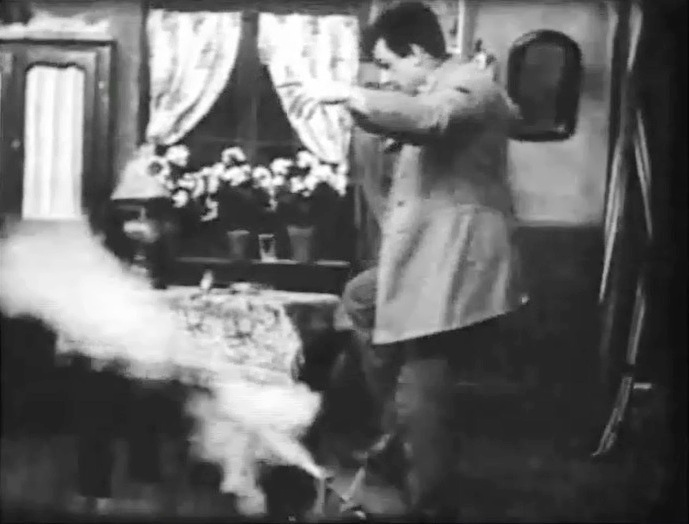 Charles Inslee tests his diabolical device in "At the Altar" (1909) directed by D. W. Griffith. Florence Lawrence is seen behind the bride Marion Leonard in "At the Altar" (1909) directed by D. W. Griffith. 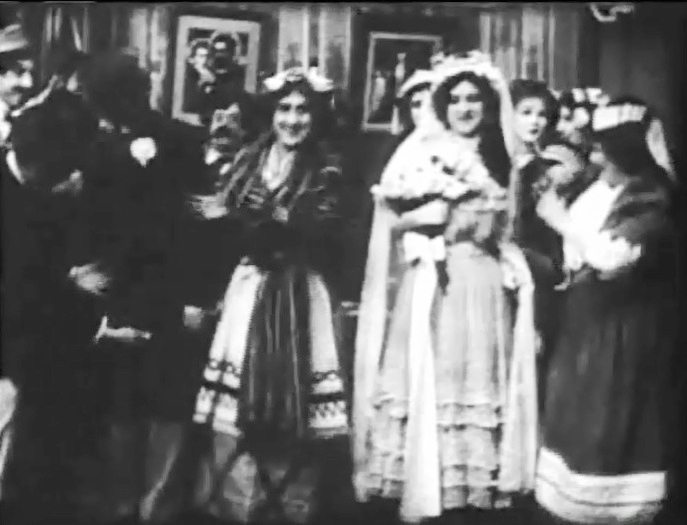 Florence Lawrence is a guest at the wedding ceremony in "At the Altar" (1909) directed by D. W. Griffith. 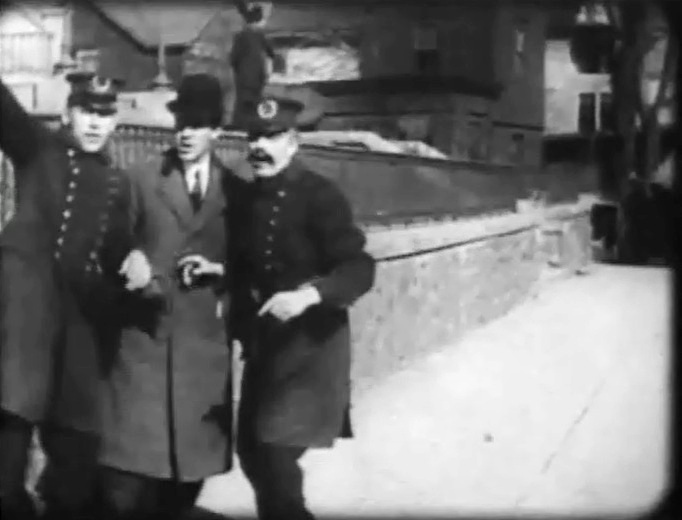 Arthur V. Johnson is a policeman in "At the Altar" (1909) directed by D. W. Griffith. 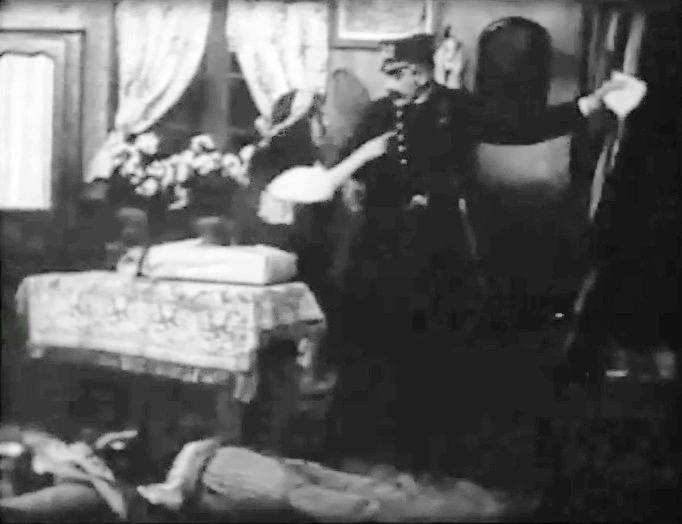 Arthur V. Johnson finds out that the man is dead in "At the Altar" (1909) directed by D. W. Griffith. Arthur V. Johnson finds the suicide note in "At the Altar" (1909) directed by D. W. Griffith. 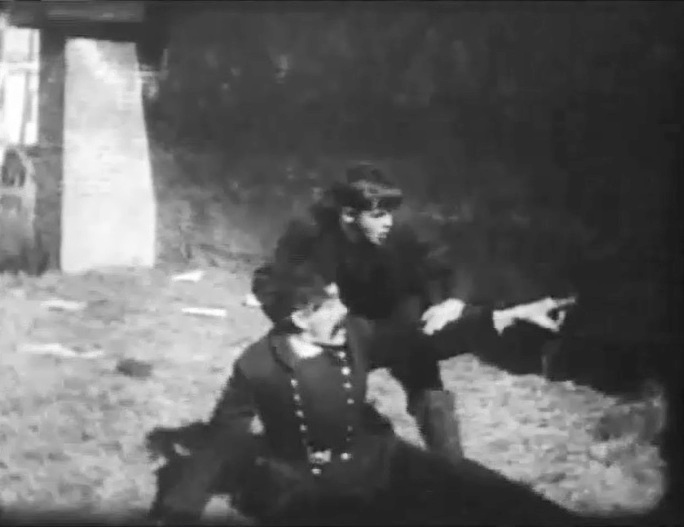 Arthur V. Johnson gets directions from another cop in "At the Altar" (1909) directed by D. W. Griffith. 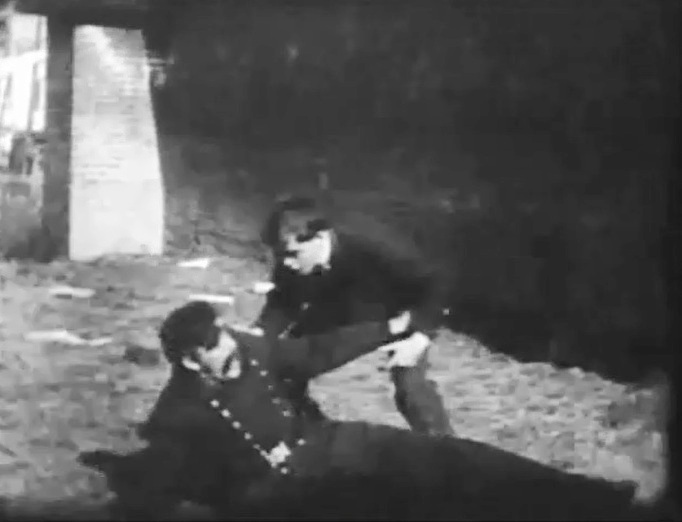 Robert Harron helps a hurting Arthur V. Johnson in "At the Altar" (1909) directed by D. W. Griffith. 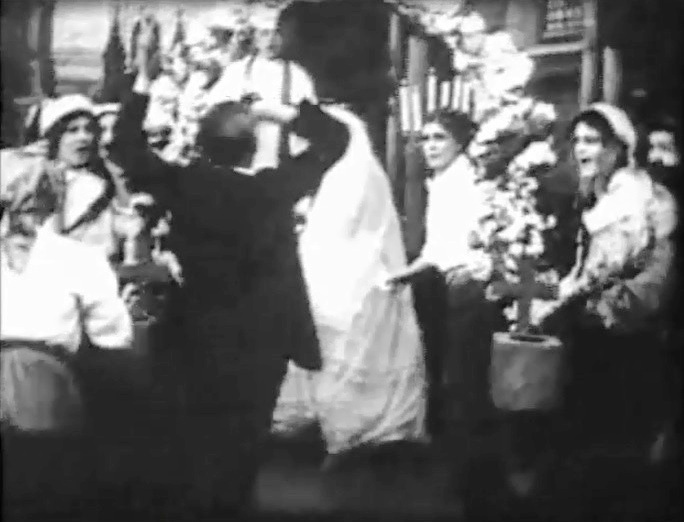 Robert Harron arrives just in time as Florence Lawrence reacts on the left in "At the Altar" (1909) directed by D. W. Griffith.